Ace manufactures precision H Frame Type Hydraulic Press. This is a 50 ton press used for BALL JOINT ASSEMBLY. High speed h frame hydraulic press machine. This machine is for industrial use. PMT Steel Industries Pvt. Ltd.
Having a predetermined quality administration system, we are thoroughly involved in delivering H Frame Hydraulic Press. 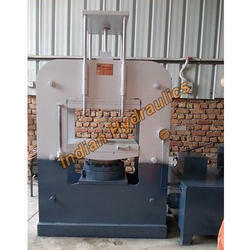 We are instrumental in offering a wide range of H Fame Hydraulic Machine to our clients.